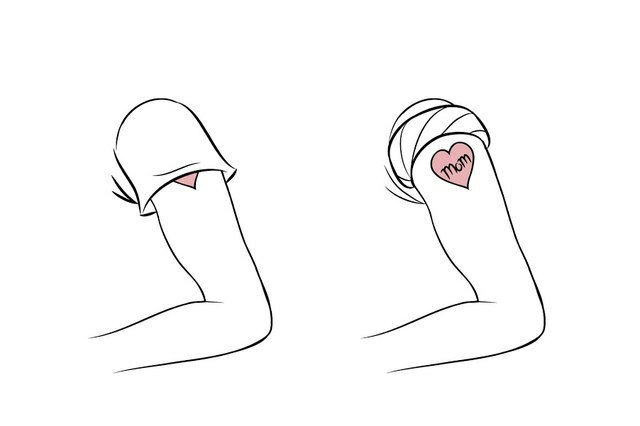 How to Keep Tattoos From Fading. There's nothing like a fresh piece of body art -- the colors are so crisp and bright. Unfortunately, many people will notice their tattoo has faded over time and the colors aren't nearly as vivid as they used to be. It's normal for tattoos to fade some over the years, especially on areas exposed to a lot of sun. But some people's tattoos will fade in just a matter of weeks or months. If the tattoo artist applied the ink correctly, your color should not fade too drastically. 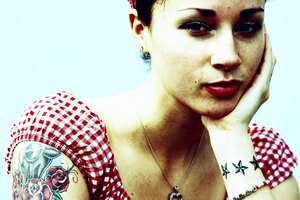 There are steps you can take to keep tattoos from fading so quickly. Follow the aftercare directions your tattoo artist provided you. Don't switch to a different product because it's cheaper or ignore the advice he's given you because a friend told you it was ok. Tattoo artists who suggest specific products usually do so because they already know what kind of results you will get. They have probably tried several different aftercare products before choosing one to offer to their clients. If you completely disagree with a product he's given you, then talk with him about an alternative that you've used in the past and see what he thinks. Remove the bandage the tattoo artist should have covered your fresh tattoo with in the allotted time he specified to you. Wash your hands with an antibacterial soap and then gently wash the tattoo with antibacterial soap and apply a light coating of the aftercare product suggested by the tattoo artist. Re-apply the aftercare product throughout the day, as needed. Keep the tattoo moist without saturating it. During the healing process, the tattoo still needs to breathe. 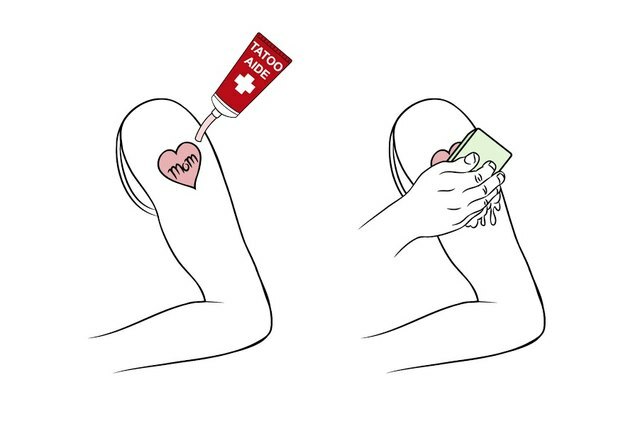 If you overdo the ointment, it can pull color out of your tattoo. You will also want to wash it at least two to three times each day with antibacterial soap to rid it of old ointment and flaking skin and ink. 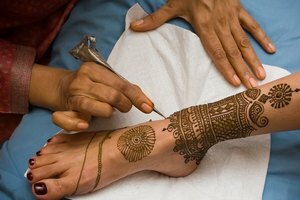 After the tattoo is healed, a moisturizing lotion will help keep the color vivid when applied regularly, or when it feels dry or looks flaky. Picking at or scratching any scabs that may appear on your tattoo during the healing process is a quick route to completely losing color in the spots that are picked off. 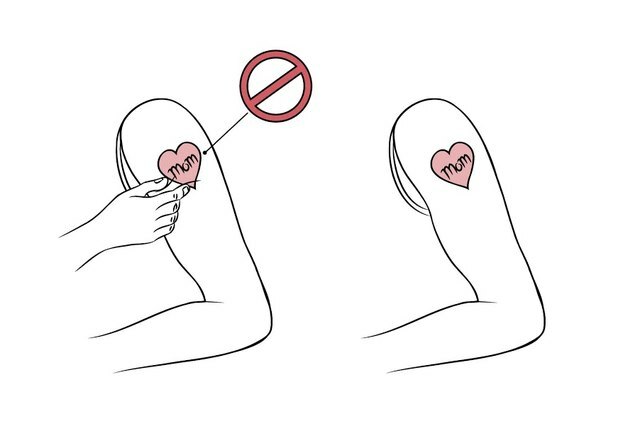 Refrain from pulling off any scab, no matter how small, while the tattoo is healing; instead let the scabs fall off naturally. Some tattoos scab a lot and others may not scab at all, but the better you take care of your tattoo, the less scabbing you should have and the brighter the colors will stay. 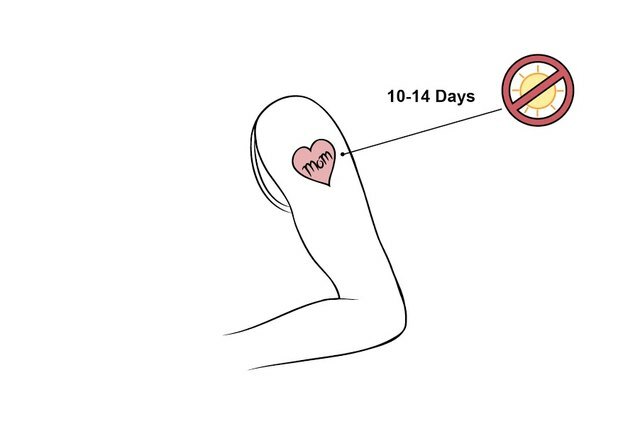 Stay out the water for 10 to 14 days while your tattoo is healing. Only take showers for the first two weeks following your tattoo procedure. Submersing your tattoo in water can pull the ink out and thus fade your tattoo. It's especially important to avoid swimming, whether it's in a lake, ocean, swimming pool or hot tub. Lakes and other bodies of water are full of micro-organisms and germs that will attack an open wound; this is a quick way to get an infection in a fresh tattoo. Chlorine in swimming pools and hot tubs and salt in seawater can bleach out your color. The hot water in heated pool and hot tubs is a breeding ground for germs if the water is not treated with the proper chemicals. Again, this will lead to fading in your tattoo and possibly an infection. Tanning should be avoided for 10 to 14 days, as well. The sun's rays are very damaging to tattoos whether fresh or old and tanning beds are even more intense and cause more damage. Even if you cover your tattoo for the first two weeks, UV rays can still soak through many kinds of material and still affect your tattoo. After two weeks, you can go back to tanning as long as you use a strong sunscreen with at least a 35 SPF. Take good care of your skin. Even after the tattoo is healed, the more you pamper your skin and the healthier your skin is then the brighter your tattoo will stay over time. This includes immediately washing off any harsh chemicals or other products you may get on the area around your tattoo. The longer the product sits on your skin the more damage will be done. This includes cleaning products, diesel and gasoline and anything with harsh ingredients. Some tattoo shops guarantee their work and will do touch ups free of charge; however, if it's obvious that you didn't follow their aftercare instructions, then you may get charged anyway. The sun is the worst enemy of a tattoo. The less sun your tattoo sees, the less it will fade over time. Even though using a strong sunscreen will slow down fading, extended exposure to the sun will eventually lead to the colors fading over the years. Avoid using triple antibiotic ointments on a fresh tattoo. 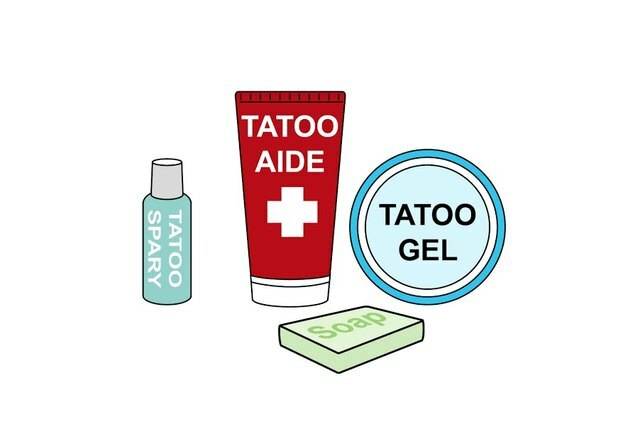 Although some people will recommend these and the ointment will heal your tattoo, it also tends to pull out the ink in a fresh tattoo because the antibiotic properties see the ink as a foreign substance or germs and try to rid your body of them. The only exception to using an antibiotic ointment is if your tattoo gets infected, then you should use a little to clear up the infection. You will most likely need a touch up on the tattoo either way because of the infection.